Great Britain offers American performing groups the widest possible range of performance possibilities, including cathedrals, parish churches, music colleges, community centers, pavilions, concert halls, and theaters. Many American traditions of government, justice, religion, the arts (especially literature and music) have their roots in Britain. A journey to Britain is a discovery of our own past and this experience is enhanced by the sharing of music with appreciative audiences. 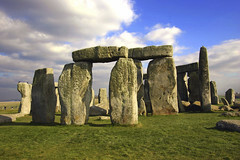 A shared concert with local orchestras, choirs, brass bands, and wind ensembles is recommended as part of the American Celebration of Music in Britain. Great Britain has a long history that has created traditions that will stand forever, but one notices a great forward-looking optimism in this land of Shakespeare, Milton, Dickens, Churchill, the Windsors, the Beatles, and the late Princess Diana. 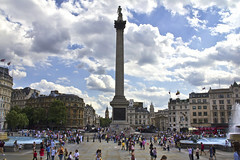 A concert/festival experience in Great Britain offers a unique combination of music, history and heritage. Performance opportunities range from the most prestigious cathedrals (Westminster Abbey/St. Margaret's, Canterbury Cathedral, York Minster) to concert halls, castle grounds, theaters and historic churches. Britain offers numerous and unique opportunities for shared concerts and exchanges with local performing groups. Staying with British family hosts for several nights is a recommended option for some groups. Annually, selected American groups are invited to share their talents in the very surroundings where Benjamin Britten, Gustav Holst, Ralph Vaughan Williams, Edward Elgar, Hubert Parry, William Byrd, and numerous other famous composers shared their's. Thank you so much for your assistance to the D.C. Boys Choir in Canterbury. The Festival was such a rewarding musical and educational experience for us. We truly enjoyed every moment we spent in Canterbury and the warm response from the audiences that heard us sing. The boys’ lives have truly been changed in a very positive way. I do hope we will have the privilege of working with you again in the near future. 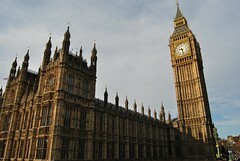 The trip (to Britain) was really wonderful. 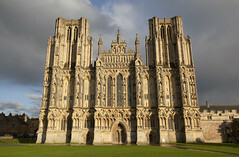 Wells Cathedral was a wonderful venue for the first concert. The St. Giles concert was very well received also. We had lots of people come up and ask us if we had CD’s for sale because they didn’t find any in the gift shop. The acoustics in the Chapel Royal at Stirling Castle were absolutely wonderful. We had an excellent audience there – a full house. England was a wonderful trip. What impressed me was your ability to specialize the trip to my specific needs. Since I have college age students, I wanted some flexibility which you built into the trip. We performed in some of the very nicest venues and participated in concerts with local choral groups with far better crowds than our previous company could produce. You have given us the best musical experiences possible. We have just returned from our fourth European experience with MCI and it was the best so far. The Bel Canto Singers wish to thank you and your staff for another wonderful concert tour. Our tour to the British Isles was well planned, with all details of travel, housing, meals, touring, etc. in place and was a real joy for me, as conductor. Once we boarded our first flight, I could relax, without a care, except to enjoy the tour. The choice of venues for concerts was superb. It is a thrill for groups to have the opportunity to sing in the churches, cathedrals, and castles as those chosen. Our tour guide was cheerful, knowledgeable, and willing to go out of his way to help us arrange activities not on the itinerary. This was our second concert tour with MCI, and we will call on you for our next.